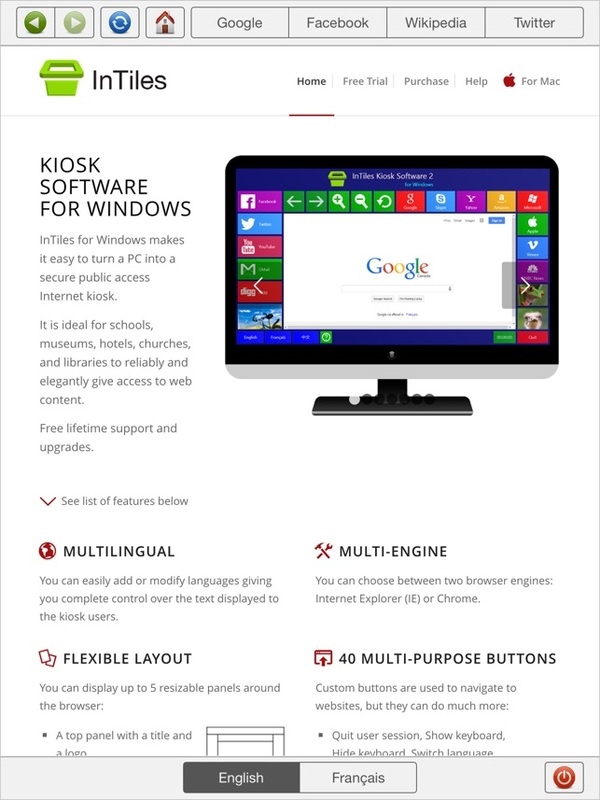 Kiosk software designed to use an iPad as a kiosk to display web content. 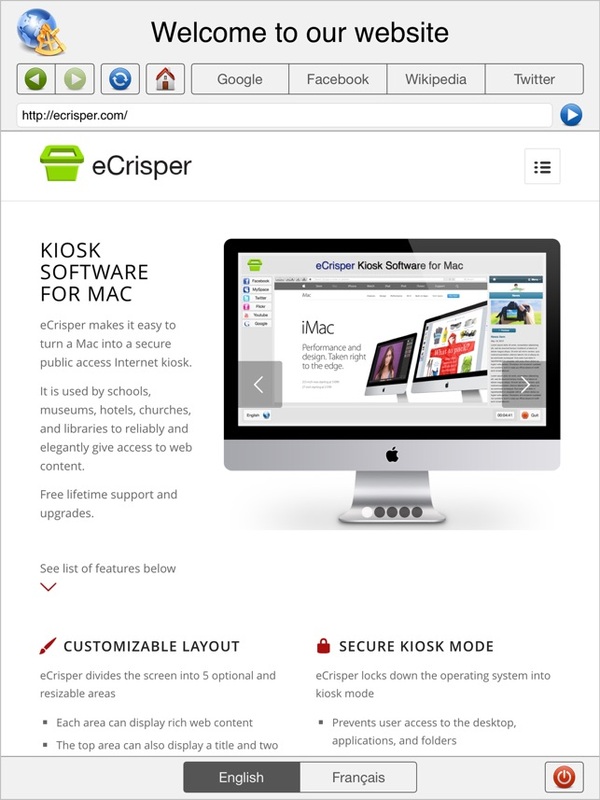 For the Mac OS X version visit http://ecrisper.com. For the Windows version visit http://intiles.com. - A logo and a main title at the top. - Navigation buttons including Back, Forward, Reload, Stop, and Home. - A URL field to allow users to specify URLs to visit. - A bar with up to 10 bookmarks. - Up to four language buttons to allow users to select the language of their choice. - A Reset button to allow users to safely quit when they want. - A text message at the bottom. - You can include up to 4 languages of your choice. The title, the home page, and the bookmarks have values specific to each language. - Choose one of 3 websites restriction modes: Unrestricted Access, Block Some Websites, or Allow Only Some Websites. - Specify the inactivity timeout after which the home page is reloaded. 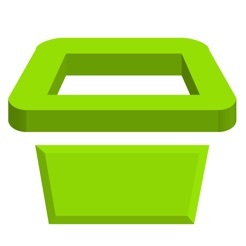 - Display web pages and logo stored locally on the iPad. - Enable or disable the screen saver (sleep mode). - Automatic Portrait or Landscape mode when rotating the iPad. Note that you will need to use kiosk hardware to secure the iPad and restrict the use of the iPad home button. Now clears history (back and forward navigation) between users.